Whether you're trying to attract new customers, promote a message or simply enhance the look of your office or storefront, Beyond Spots & Dots has the signage solutions for you. Our advertising and marketing experts have the knowledge and experience to create well-designed, effective signage that will make your message pop. 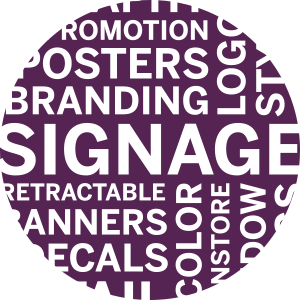 Why is Branded Signage Important? As a convenient advertising option or alternative to larger-scale signs, decals are easy to place and even distribute in smaller sizes via traditional mail. Retractable banners are both effective as branding tools and simple to travel with and store for use at events. From aisle endcap displays to in-store sale ads, branded retail signs are eye-catching to shoppers. We’ll design attractive signage to make shoppers stop and take notice. Whether it’s hanging on a wall or on outdoor fixtures, a banner will add color and communicate your message. Floor stands come in many forms and shapes, from branded shelving for product displays to brochure holders. 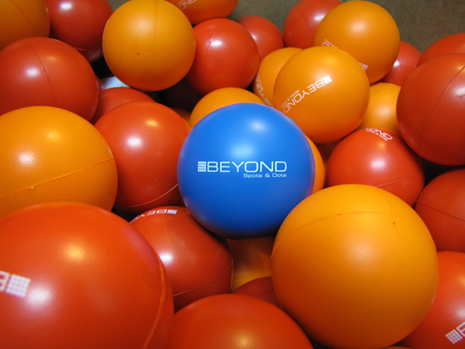 Beyond Spots & Dots will develop a creative solution for you. Whether intended for a highway, school campus, community center or sports arena, we will design electronic signage solutions with changeable text, logo and light up features to make your brand stand out. Participating in a trade show or hosting a conference soon? Branded table cloths create an atmosphere of class and sophistication at any public event. Our passion is graphic design. Our graphic design team has both the skills and the vision to make your brand pop, from logo creation to newspaper and magazine ad development.